Last Friday, 59 metered parking spaces got a temporary makeover in celebration of Park(ing) Day 2012. 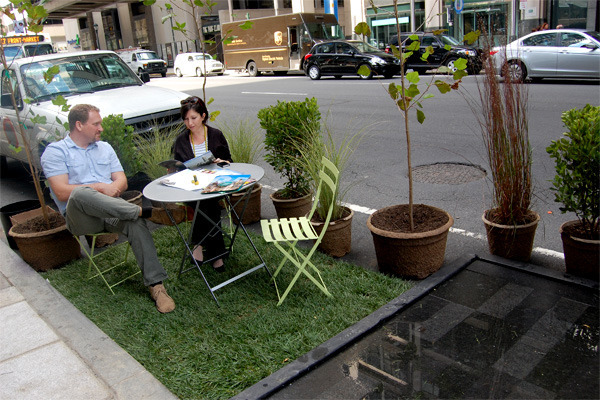 Park(ing) Day is a worldwide event to enhance public awareness of the need for more green spaces in our urban environments. Last year, Philadelphia had 30 parks. This year (the fifth for the city), there was a record-high 59 parklets created by nonprofit organizations, government agencies, local businesses, community organizations and individuals throughout the city. In case you missed this event, check out these photos from some of our favorites. Photos by Danni Sinisi.